The Board of Public Works unanimously approved a Maryland Department of Natural Resources item that grants $380,000 in general obligation bond proceeds to Baltimore City for the installation of stormwater management facilities. As part of a larger neighborhood and revitalization effort, funding will convert a 3,600-square foot vacant lot into an environmental enhancement that will include three stormwater bioretention areas, pervious surfacing and the planting of 10 trees. As part of a larger park revitalization project, funding will install four stormwater bioretention areas, 5,000-square feet of pervious surface, remediate 11,500-square feet of soil and the planting of 20 trees. Funding for the two projects would come through the department’s Chesapeake and Atlantic Coastal Bays Trust Fund as well as the Maryland Department of Housing and Community Development’s Community Legacy Program, Project C.O.R.E. 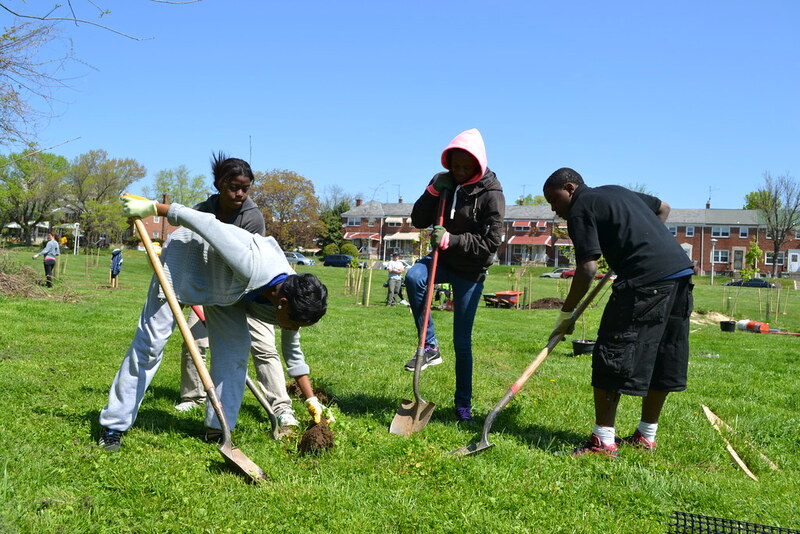 (Creating Opportunities for Renewal and Enterprise), Baltimore Regional Neighborhood Initiative and Keep Maryland Beautiful.